Is the pharmaceutical industry more dangerous than the mafia? Peter Gøtzsche thinks so. Did you know that the third leading cause of death in western countries, after heart disease and cancer, is adverse reactions to prescription drugs? Did you know that large pharmaceutical companies usually control the trials of their new drugs, and sometimes manipulate the published results by misclassifying deaths, excluding some participants and not revealing studies that came up with null results? Did you know that some of people listed as authors of drug studies published in leading medical journals have had little or nothing to do with the research, have not written the papers, and are paid for their symbolic role? Did you know that several major pharmaceutical companies have paid fines of over one billion dollars for corrupt practice? Did you know that government drug regulators in several countries have become tools of the companies they are supposed to regulate? Did you know that hundreds of thousands of people have died from drugs when the company executives knew about and hid information about the hazards? 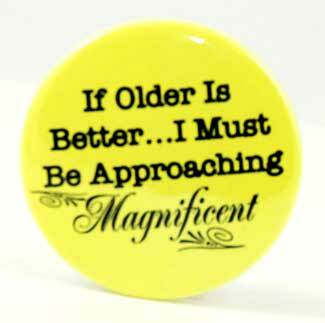 This information has been known to critics of large pharmaceutical companies — commonly called big pharma — for many years. There have been powerful critiques written by former editors of medical journals and as well as exposés by whistleblowers. Now there is a new book that puts together the case against big pharma in a more comprehensive and hard-hitting way than ever before: Peter C Gøtzsche’s Deadly Medicines and Organised Crime: How Big Pharma Has Corrupted Healthcare (London: Radcliffe, 2013). The bulk of the book is a critical examination of research findings concerning pharmaceutical drugs, serving to illustrate general points. For example, chapter 4 is titled “Very few patients benefit from the drugs they take,” seemingly a startling claim. Gøtzsche gives some hypothetical examples of how results of drug testing might sound encouraging but actually disguise a very modest effect, and how double-blind trials that are not properly blinded can give misleading results. He then cites studies of antidepressants to show that the actual situation is probably worse than his hypothetical examples. Different chapters in the book deal with conflicts of interest, pharmaceutical company payments to physicians, drug marketing operations, ghostwriting of articles for medical journals and the inadequacy of drug regulators, among other topics. Each of these chapters includes case studies of particular drugs or company operations. Then come chapters about particular drugs, abuses and companies, for example chapter 14 on “Fraudulent celecoxib trial and other lies.” Gøtzsche exposes corrupt practices, including the hiding of trials that did not show a benefit, disguising adverse drug reactions, promoting a new highly expensive drug that is no better than an existing one, making false statements about the benefits and risks of drugs, applying pressure on drug regulators, and suppressing information about dangerous drugs on the market. Gøtzsche relies heavily on published studies (including his own) to back up his claims: the book is thoroughly referenced, with numerous citations to articles in medical journals. Deadly Medicines and Organised Crime is in the tradition of rigorous and knowledgeable exposé. Some previous books along the same line include Marcia Angell’s The Truth about the Drug Companies and Jerome Kassirer’s On the Take. Angell and Kassirer had been editors of the prestigious New England Journal of Medicine. Gøtzsche has impeccable credentials to write a critique of big pharma. He started his career working for a drug company, and saw dubious operations from the inside. He qualified as a doctor and then worked as a medical researcher for many years. Most importantly, he is a key figure in the Cochrane Collaboration, a group of medical researchers who scrutinise the full complement of studies of particular drugs, drawing conclusions about benefits and risks. Undertaking a meta-analysis of drug trials seems like an obvious thing to do. What makes the Cochrane Collaboration significant is that it is largely independent of the drug industry. The industry’s influence is so pervasive that many trials are fraudulent or misrepresented, many publications are ghostwritten by company staff, and evaluations by drug regulators are biased due to company pressure. Being relatively independent of this influence makes an enormous difference. As well as obtaining insights from his involvement with the Cochrane Collaboration, Gøtzsche has had personal involvement in trying to influence drug policy. Being from Denmark, on various occasions he has provided information to the Danish drug regulator on crucial issues, such as that a new drug is far more expensive than an existing one, but no more effective. Yet the regulator on many occasions has served drug company agendas by approving drugs, costing the government large sums of money and providing no added benefit to patients. Here is Gøtzsche’s summary of problems with drug regulation. In describing the unethical and damaging activities of the drug industry, with case after case of egregious behaviour, Gøtzsche sometimes expresses his exasperation. This comes across most strongly in the chapters on psychiatric drugs, many of which are useless or worse, cause addiction and massive damage, yet are widely prescribed due to massive marketing. 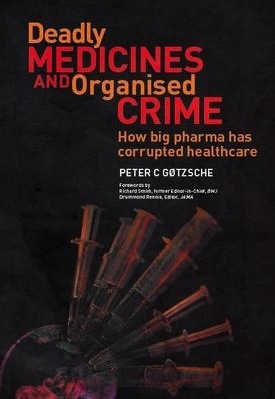 Gøtzsche’s book is filled with information and thoroughly referenced, yet perhaps its most striking feature is his claim that big pharma is organised crime, as indicated in the title. At first this may sound exaggerated, or just a metaphor, but Gøtzsche is quite serious. 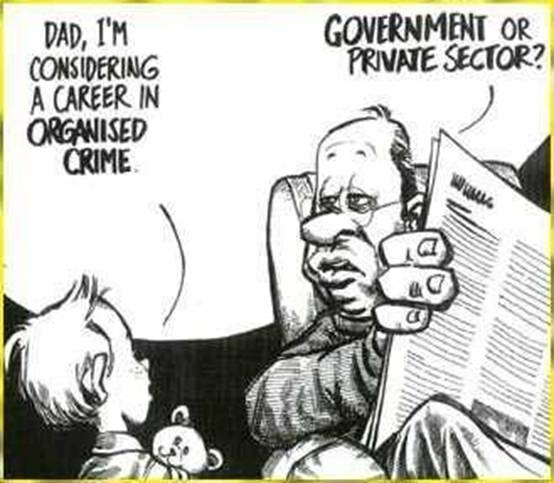 He looks at definitions of organised crime and finds that big pharma fits in all respects: the companies knowingly undertake illegal actions that bring them huge profits and kill people, and they persist in the same behaviour even after having been convicted of criminal activity. At many points, Gøtzsche asks rhetorically what is the difference between the activities of big pharma in promoting addictive and destructive drugs and the activities of drug cartels producing and selling heroin. If the operations of big pharma are a type of organised crime, except killing many more people than the mafia, what is to be done? Gøtzsche has a chapter spelling out ways to bring drug testing and regulation under control. One important step is for all drug testing to be done by independent scientists, rather than by the companies that manufacture the drugs. Another is to disallow payments from drug companies to physicians, researchers, medical journals, and regulators. Gøtzsche draws an analogy: what would people think if judges received payments from prosecutors or defendants? It would be seen as corrupt, of course. Company payments to physicians, journals and regulators should be seen as corrupt too. 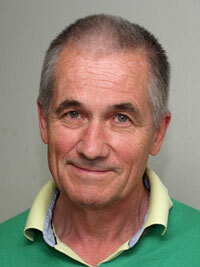 Gøtzsche’s recommendations are sensible and, if implemented, would transform the way drugs are used in society. If this happened, company profits would plummet, which means that companies will do everything possible to maintain the current system. As well as saying what should be done, there is a need for a strategy for bringing about change, and the strategy has to involve citizen campaigners as well as concerned researchers and physicians. Just as the movement against smoking has involved a wide range of campaigners and methods of action, so too must a movement against corruption in healthcare. Deadly Medicines and Organised Crime is not a practical manual for such a movement, but it is essential reading for movement activists, especially so they will know what they are up against. For readers thinking about their own health, and the health of their friends and family members, Gøtzsche provides important messages. He suggests not taking any drug unless it is absolutely necessary, because benefits are minimal and there are always potential harms. In this category would be included antidepressants and drugs to lower cholesterol and high blood pressure, for example. If you’re going to take a drug, then it’s usually better to take an old one, because newer ones are probably no better, cost vastly more, and are less well tested for harms. If you want to know more about the drugs you take, seek independent advice. That’s not easy, because so many researchers, medical journals, physicians and regulators are in the pay of the industry. Reviews by members of the Cochrane Collaboration are a good place to start. So is Deadly Medicines and Organised Crime. Gøtzsche provides enough references for even the most assiduous reader. I thank Melissa Raven for useful comments on a draft of this comment.